The history of Malbec is one of mystery and romance, of triumph, fall from glory and rebirth. In its native France, it is the main grape of the Cahors region. Before the phylloxera epidemic, it was also a major varietal in Bordeaux – a greater than 50% component of Chateau Latour and represented 60% of Chateau Cheval Blanc and the whole of St Emilion. In 1852 Argentine President Domingo Faustino Sarmiento hired a Frenchman, Don Miguel AimePouget, to establish a vine nursery in Mendoza. Pouget discovered the unique adaptation of Malbec to Mendoza and was an early advocate of the varietal - a Frenchman in Argentina devoted to Malbec and its fine pedigree. 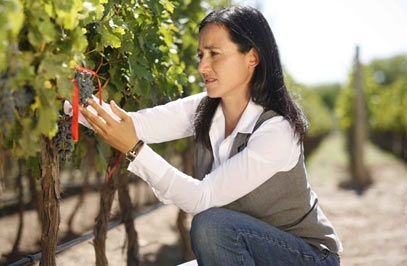 While the Malbec grape, the core of the greatest wines in Bordeaux was being decimated by the phylloxera louse in its French homeland, in Argentina the varietal was thriving, finding a second home in Mendoza. By the mid 1950’s, with 48,000 hectares under vine, Malbec was the most widely planted fine varietal in Argentina. In the 70’s and 80’s, one financial crisis after another led to demand for value priced wines in large volumes. Sadly, thousands of Malbec vines were pulled and Malbec plantings went down to 14,000 hectares. Today, Malbec has been reborn and plantings are back up to 25,000 hectares. Our family has lived through the many phases of Argentine malbec, starting with my great grandfather Nicola Catena, who immigrated to Argentina from Marche, Italy and planted his first Malbec vineyard in 1902 on the shores of the Tunuyanriver in Mendoza. In 1981, our family moved to California for my father to take a sabbatical as visiting professor at UC Berkeley. In Napa my father learned about the 1976 Judgement of Paris (a competition where Napa wines came ahead of Burgundian and Bordeaux counterparts) and about how the Californians were challenging the French hegemony on luxury wine. My father, Nicolas Catena, wondered about making such grand wines in Mendoza and during the 1980’s, after moving back to Argentina, he became obsessed with the quest for quality. He initially devoted most of his attention to cabernet sauvignon and chardonnay, but my grandfather Domingo would not let him forget about Malbec and after several years of retraining our old Angelica vineyard in Maipu, the purity of flavors and aromas, the wonderful textures, the concentration that was coming out of this 70 year old vineyard were impossible to ignore and we started to put a great deal of energy on Malbec. My father pioneered what has been called a Malbec revolution - extreme high altitude plantings, the development of the Catena Malbec cuttings, the new plantings in San Carlos and Altamira and the next two decades of re-defining every aspect of Malbec winemaking and viticulture. By the time my father released his 1994 Catena Malbec with “kudos” from Robert Parker, we were convinced as a company that Malbec could have a great future. In 1996, the Catena Alta Malbec was our first cuvee to receive 94 points from Parker and Catena started to become symbolic with Malbec. At that time, few Argentine wineries were exporting and Malbec was still relatively unknown as a wine varietal. We spent several years conducting Malbecterroirtastings and educating the wine trade and consumers about the virtues – very dark color, rich, concentrated palate, smooth velvety finish- of our beautiful MendozanMalbec. I began to work in earnest with my father in 1997. We became convinced that high altitude Malbec could create something glorious, that in high altitude Mendoza, it had reached its golden home and it became our mission to understand every secret of the Malbec varietal. My father put me in charge of investigating the effects of high altitude viticulture on the Malbec grape. I have studied every aspect of our high altitude vineyards in order to define the quality they can impart on our Malbec fruit. I have discovered that the unique combination of intense sunlight and extremely cool temperatures can create the finest Malbec wines – rich and concentrated yet fresh and elegant, with wonderful aromatic intensity and soft, supple textures. In 2004 I began a vine by vine selection to isolate the best Malbec plants in our specially selected Estate vineyard lots. The result of this demanding selection was a series of ultra-concentrated Malbec cuvees: Nicasia Vineyard, Adrianna Vineyard, and MalbecArgentino that have shown the heights that malbec can reach when grown with the greatest attention to detail under ideal weather, soil and viticultural conditions.